Public administrations need to assess policy options before their implementation; often there is some uncertainty if cost-benefit analysis (CBA) or multi-criteria evaluation (MCE) should be used. This Chapter aims at showing that MCE may help economics at overcoming some of its current difficulties in the empirical assessment of public policy options; thus MCE has to be placed in the future of welfare economics with no doubt. 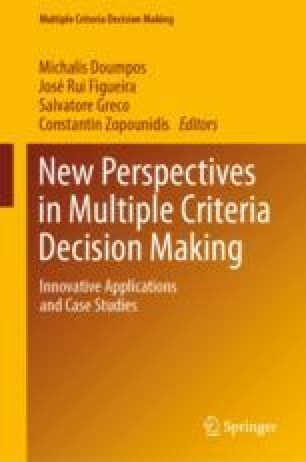 To corroborate this conclusion, a structured comparison of the main distinguishing features of CBA and MCE is carried out according to the following ten comparison criteria: efficiency, fairness, democratic basis, effectiveness, problem structuring, alternatives taken into account, policy consequences, comprehensiveness, transparency and mathematical aggregation rule. This research has been developed in the context of the activities of the Competence Centre on Modelling. Comments by Leen Hordijk are gratefully acknowledged. The views expressed are purely those of the writer and may not in any circumstances be regarded as stating an official position of the European Commission. Agasisti, T., Hippe, R., & Munda, G. (2017). Efficiency of investment in compulsory education: Empirical analyses in Europe; EUR 28607 EN. Luxembourg (Luxembourg): Publications Office of the European Union; JRC106678. https://doi.org/10.2760/975369. Lerche, N., Wilkens, I., Schmehl, M., Eigner-Thiel, S., & Geldermann, J. (2017). Using methods of multi-criteria decision making to provide decision support concerning local bioenergy projects. Socio-Economic Planning Sciences. ISSN 0038-0121. https://doi.org/10.1016/j.seps.2017.08.002.